I took these photographs over a year ago, and I’m just now getting around to posting about them… geeze, I’m a slacker. Not really, I’ve just been busy creating new photos and having fun in life. My blog has definitely become secondary, and I’m working to get it updated so that my posts will all be current. I have quite a bit of photography to show from the last year, and I’d love for everyone to be able to see what all I’ve worked on. Last spring was a fun one for shooting. I began new working relationships with both editorial and corporate clients that have continued through the current year. One of my favorite shoots from last year was a shoot for the luxury real estate section of the Wall Street Journal. I was asked to travel to Cozahome, Arkansas, to photograph the vacation home the Gattle’s share with two other families. The families purchased an entire valley on Big Creek, a tributary of the Buffalo River. The creek is known for being home to trout and small mouth bass, and being a fly fishing destination for the owners. On the drive to the home, there’s an overlook of the valley and creek that are part of the property. The home is nestled into the valley and is surrounded by a lush green forest. The interior of the home was simple in design and decor, and was definitely a place I would love to spend a weekend. There were two large screened-in porches with an abundant amount of furniture that’s ideal for relaxation. I personally love this image of the Gattle’s relaxing on the swing while enjoying each other’s company. I love when people forget I’m sitting right there with a big camera waiting for a moment to happen. The living room, kitchen and dining room are a large, open concept space. The back porch was amazing, and I’m not sure if I would rather hang out in the adirondack chairs, or sit by the fire pit. I could definitely go for wine and cheese wherever I was sitting. The Gattle’s were wonderful hosts and loaned me waders so I could follow Tom into the creek to photograph him fly fishing. We didn’t catch anything that day, but it was fun to try. Since this time last year, I’ve taken up fly fishing and have completely fallen in love with the sport. Between that day on the creek, and my son’s fly fishing club at school, it’s definitely a new hobby and I’m always eager to get in the water anytime I can. This vacation home in Arkansas is definitely a little piece of fly fishing heaven. I started a project for Tyson Foods, Inc., that would continue over the next year. I was asked to create new environmental portraits for their executive leadership team. I met with the art director to scout a location, and we came up with a corner of the Discovery Center that wasn’t easily accessible in the hopes that it would give the images a little uniqueness to the images that had been taken in the past. While I thought this was a great idea at the time, as I update my blog I’ll share some of the funny stories that happened because of choosing that location. It was all worth it though, and the images from our first shoot ended up being some of my favorites because the sun was intense that day. I love the shadows and textures created by the windows. I also traveled through the state of Arkansas for several photoshoots for local magazines. 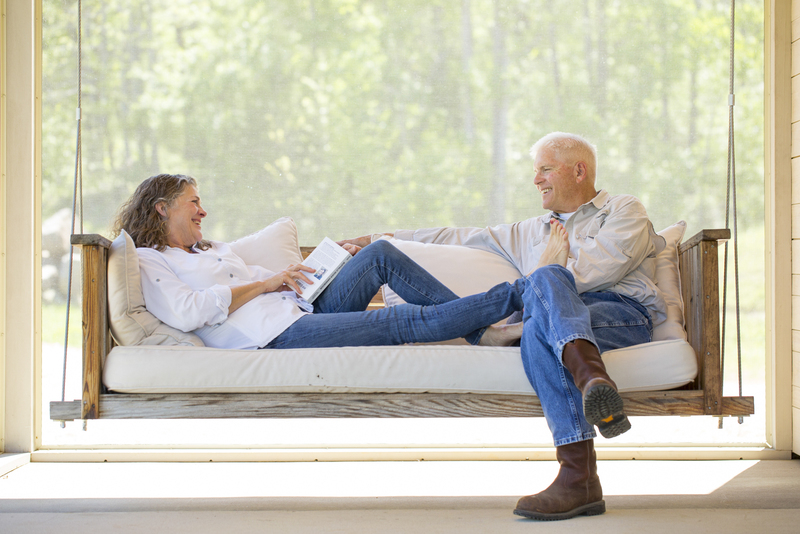 I headed back out to Whitter to photograph Christian and Heidi Batteau at Assemblage, but this time I was shooting for Arkansas Life magazine. I tell you what, it’s hard to shoot similar features for competing magazines and come up with different images… but I think I pulled it off. Heidi and Christian were once again wonderful to work with, and I had a great time hanging out and photographing them in their space. I absolutely love the color and messiness of this image. Have you ever wondered about that multi-colored, vibrant building at the intersection of Rogers and Garrison Avenues in Fort Smith, Arkansas? It’s an art school called La Colmena, which means The Beehive, and it’s run by Ana Maria. I traveled to the school to photograph her for Arkansas Life magazine. I photographed a couple of assignments for At Home in Arkansas including an environmental portrait and a garden feature. The flowers were arranged by Pigment, and I love the bright colors of the flowers and the pinks against the turquoise. Looking back at these photos makes me want to brighten things up around my house. I also met Tiffany Adams, owner of Regenerous Designs, who has quite a cool story about how she started her business. She takes the fabric that’s left over from making clothes and up-cycles it into headbands, jewelry, scarves and other neat things. She was working in LA when she saw all of the designer fabric that was being thrown away, and she decided to do something with it instead of it going to a landfill. Each piece is handmade and unique…. and really cool, I might add. I also shot for one more magazine called Fit, that’s published out of Little Rock. I photographed Nutritionist Meg Green at Arkansas Children’s Hospital, Fitness Trainer Stephanie Newcomb and Matt Abbott with Nativ. All three were fun, but I think my favorite image is the one of Stephanie. While we were shooting in downtown, it started to rain so we ducked under one of the bridges. The light ended up being absolutely beautiful, and the wall photographed with an interesting blue and green that wasn’t so visible to the eye. I had a good time working with new art directors for this shoot to create these images. That sums of what I want to show from the spring of 2017. It was busy, fun and creative… all photoshoots I love and people I loved meeting.